Canada is brimming with fascinating places and people. In every province and territory we’ve found summer festivals celebrating the foods, arts and heritage that form our culture. It’s pure Canadiana, and pure family fun. This annual celebration is in one of B.C.’s most breathtaking spots – Ucluelet on Vancouver Island’s west coast (288 km northwest of Victoria). UKEE Days is a fun, highly social event that also raises money for community projects. Besides a salmon BBQ, pancake breakfast, street dance, and Belt Sander Race (and you haven’t lived until you’ve seen a belt sander race), folks line up to see the professional lumberjack competitions. Ucluelet is one of the few small towns where logging competitions still exist: axe throw, hot saw, and single and double buck events are as much about celebrating our past as they are fun to watch. Pandemonium came in the form of a gold nugget found in Bonanza Creek on August 16, 1896 – sparking the influx of some 100,000 prospectors looking to strike it rich. The Klondike Gold Rush holds a special place in Canadian history and the fever remains in Dawson City – the tent camp that blossomed into a burgeoning city when the gold rush began. At the junction of the Klondike and Yukon Rivers, Dawson City celebrates with Discovery Days, providing a glimpse into historic times – and a taste of that original pandemonium. Enjoy a Yukon talent night, an authors’ festival, arts show or street theatre. The more energetic might enjoy a 10K run or participate in a golf tournament, while the less energetic might try their hand in a poker tournament in Diamond Tooth Gertie’s, Canada’s oldest casino. Stand back for the Mud Bog event as monster trucks race through a mud pit. Work on your can-can skills with Gertie’s Gals or simply settle back with a big piece of birthday cake and stake your claim to a wonderful time. Inuvik is found two degrees above the Arctic Circle on the scenic Mackenzie River and Delta. It means “place of people” – homeland of the Inuvialuit and Gwich’in and a wide variety of other aboriginal and non-aboriginal people and cultures. The festival, first started in 1989, is a meeting place for Northern artists to show their work, connect with other artists and learn new techniques. It hosts 92 artists from across the Canadian North, as well as 14 musicians and performers from as far away as Alaska, the Orkney Islands of Scotland and the Yucatan in Mexico. The challenges to get there are significant but you will reap the rewards of one of the greatest ranges of work that celebrate northern arts and culture available in one place. And all under the midnight sun which, in itself, is something incredible. The first Calgary Exhibition was in 1898 and the first Stampede was in 1912. It’s the longest-standing event of its kind in the world and is billed as ‘the Greatest Outdoor Show on Earth.’ It’s equal parts festival, exhibition and rodeo and draws more than a million visitors over its 10-day duration. This year, the Stampede celebrates its centennial anniversary. 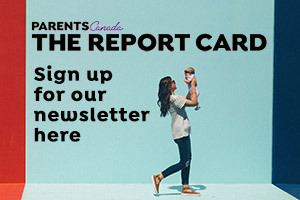 There are new events like a performance showcasing western horsemanship with special effects and two new rides – a rollercoaster, the ‘Outlaw’, and the longest temporary zip line in Canada. Don’t worry, there are still the old, fan-favourite events, too. From chuckwagon races to bronco-busting, steer wrestling to bull-riding, it is the largest stampede of its kind. Locals and tourists alike delight in dressing up in their finest western attire to take in the Stampede Parade, hot grandstand shows, agricultural showcases and some of the roughest, toughest – and richest – ropin’, ridin’ and racin’ action ever. There’s loads of special programming for little buckaroos, too – from the junior midway to pedal tractor pulls, dog shows and craft-making of all kinds. When you’re known for your prairies and wide open spaces, you have the ideal backdrop for this intriguing event. Kite flyers from all over the world come to show off their amazing creations and invite spectators to put some wind under their own high-flying ideas. Bring, buy or make a kite of your own and treat the kids to a lesson. But get the kids ready for something unexpected. Superstar flyers demonstrate stunt kites, art kites, giant creature kites, fighter kites and kite trains. There’s flyer passports for autograph hounds plus a host of special activities including kite-borne candy drops, straw bale mazes, mystery sandpile treasure hunts and bubble stations. Take in live music at the main stage. Sample locally produced food and produce or chow down with chili, BBQ or maybe some homemade Saskatoon berry muffins. Admission is free. Alka-seltzer extra. Thousands of families flock to Manitoba every summer to hear the very best in folk, roots, world and blues music, combined with programming dedicated to children. It doesn’t get any more green than its setting in Birds Hill Provincial Park – about 40 minutes east of Winnipeg. Local supporter, Gerald Boiteau, whose enthusiasm has transformed into sponsorship, brought his kids every year. “What they enjoyed most was the huge craft area. Entertainers would have the children dancing and participating in whatever the theme of the show was. Hundreds of children were running from performance to the craft area and racing back to the tent stage for the next performer.” Kick back under the Chickadee Big Top as serious entertainers like Aaron Burnett and Jake Chénier remind you how much fun can be packed into a single day. Two centuries ago, this historic fort was the backdrop to the bloodiest battle on Canadian soil. In the war of 1812, the site was held under a siege between British and American soldiers. Kids will enjoy the endless array of gunshots and explosions and shake hands with the uniformed-soldiers. The battle ends with a memorial service by the Monument – a statue dedicated to the siege and where the remains of 150 British soldiers and three American soldiers are buried. Finally, end the action-packed weekend with a lantern-lit, nighttime tour of Old Fort Erie. This free, summer-long street event performed in the heart of downtown Québec City was created by world-famous Cirque du Soleil. Each evening at sunset, the streets of the Saint-Roch neighbourhood come to life as 75 artists – members of the Fog, Fire and Sands tribes, representing the three primary colours – take different roads that intersect in the heart of Québec City. There are imaginative performances along the way. This troupe of singers, dancers and jugglers encourages spectators to join them as they transform the street into a meeting place for the world. When the troupes converge on the Jardin de Embarrassants, the piers and decks of the highway bridges become a surreal, colourful cathedral of human poetry – for a full 82-minute show. All this while sampling the sights and sounds of one of Canada’s most historic cities and the heart and soul of French Canada. Iqaluit is the territorial capital and the largest community of Nunavut, located on Baffin Island’s south coast at the head of Frobisher Bay. The Iqalummiut’s Alianait Festival – named for the Inuit expression meaning joy and celebration – is an 11-day event packed with art, music, film, storytelling, circus arts, dance and theatre. It begins on National Aboriginal Day with folk groups, storytelling, and throat singing. Concerts, circus performances, Greenlandic dancing and a “school’s out” dance make for a full two week festival. O’Leary has hosted PEI’s annual Potato Blossom Festival for 44 years. This rural PEI farming community gather together each year to honour the crop and to celebrate PEI hospitality. The locals rally around a 14-foot fiberglass replica of a Russet Burbank potato on the front lawn of the world’s only Potato Museum. From here a mammoth parade and midway set the stage for a youth talent contest, Little Miss and Miss Teen Potato Blossom Pageant while antique tractors and farming tools underline the potato’s importance to the community of 860. Tami Martell, a clamdigger from Montague, says, “Any child from the big city who has never spent time on the beach in little PEI will be in awe of the wonder and curiosity of the small creatures and treasures to be found.” From fireworks to farmers’ markets, local food – including potato treats – and events like the all-night ball tournament, a strong man/women contest and (of course) potato relay races and potato peeling contests and you’ve got yourself a memorable family vacation. Thousands of Acadians converge on this enchanting town (Caraquet means “the meeting of two rivers”) to celebrate their heritage. It is the largest cultural event in all of Acadie; its population balloons from 4,000 to 100,000 during the festival. Acadian culture is celebrated – music, writing, food, arts, storytelling and plenty of boisterous conversation. Fredericton native Mary-Anne Bourque Pollack heeds the call: “I’ve celebrated ‘le 15 août’ for 53 years. I never miss it! It’s awesome – free music outside on big stages, plays, streets closed to cars and parades (think Mardi Gras, but kid-friendly). You can also enjoy the beautiful area around Caraquet with its deserted beaches and untouched coastal area.” This calling card to merry-making is best illustrated by the spirited Tintamarre (“loud racket”) – a parade of 25,000 people down the main street making as much noise as possible. They use anything they can get their hands on – pots, pans, drums, whistles, tin cans. This is energy all kids love and it symbolizes the over-the top enthusiasm of one of Canada’s most colourful cultural groups. If this summer’s blockbuster, Brave (2012), inspired you to take a trip to Scotland but you just can’t make it that far, stop by Antigonish, N.S. instead. 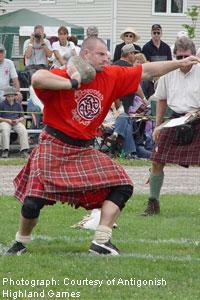 Antigonish’s Highland Games are the oldest continuous games held outside of Scotland. Bring the kids out to see some of the best Scottish athletes competing in ancient heavy weight events, as well as highland dance, piping and drumming, road- and mountain-biking, and the five-mile road race. Throughout the week, drop in on the numerous ceilidhs (Gaelic for a social gathering with Scottish or Irish music) and concerts to enjoy some traditional folk dance, storytelling, and singing. Don’t forget to check out your clan tent before you leave! The Vikings claim to have discovered the New World some 500 years before Columbus arrived. That makes us relatives! A brave strain of Scandinavian farmers, fishermen and even pirates landed in Newfoundland somewhere around 1000 AD and founded Norstead as an outpost while they came and went from Greenland. This year marks the 12th year of celebration for Norstead – around the corner from the UNESCO World Heritage L’Anse aux Meadows, archeological proof of the oldest known European settlement of the New World. Norstead Viking Village recreates the Viking experience as 30 Viking re-enactors (descended from Viking stock) demonstrate life in the village down to the finest detail, from colourful, choreographed battles to crafting and animal husbandry. Sample real Viking cooking, concerts and competitions, games, dancing and storytelling around a bonfire. Take a lesson in weaving, costume embroidery and naal binding together with shoe making, forging and armour-making. Participate in Kiddie Vike or enter a lottery to win Mom her very own Viking companion – or a thistle brooch. Originally published in ParentsCanada magazine, June 2010.